Drake’s taking a break from paying for people’s groceries and congratulating LeBron James to announce an extensive North American tour in support of his upcoming album, Scorpion. The 41-date tour starts on July 26 and wraps in mid-November, but the Toronto rapper won’t be out there on his own. 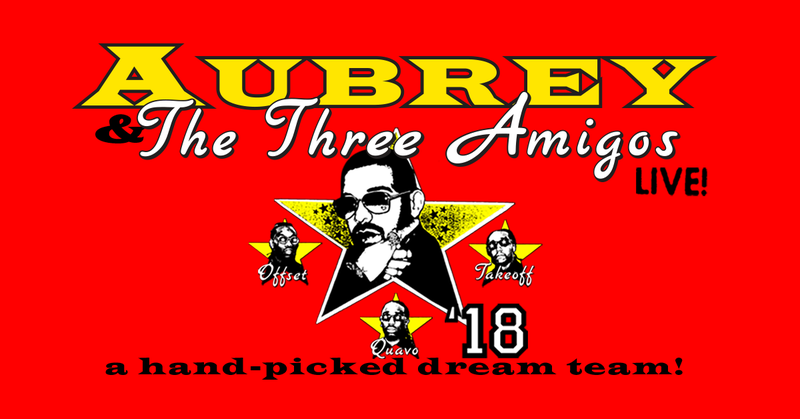 He’ll be joined by his “Walk It Talk It” collaborators Migos for the Aubrey & The Three Amigos Live! tour (which is somehow not a working title). The tour announcement boasts of a “hand-picked dream team!” in place of having Drake pay homage to a different Nicholas Winding Refn film. Tickets go on sale to the general public this Friday, May 18 over at Ticketmaster. Scorpion is Drake’s fifth studio album, and “Nice For What” its first single. The complete list of dates is below.